Due to various work, study & coaching commitments we hadn’t had a holiday since 2007 and we were pretty busy on that one with Graham & Nikki’s wedding; Gra’s IMSA and some networking at the Sports Science of South Africa Institute. As such I was pretty much viewing the trip to Fairfax, Virginia as a holiday rather than a race; that said I still wanted to do the best I could do. We travelled out on 25th June and it was a pretty uneventful journey until the group arrived at registration where it seemed that the event organisers fully appreciated that GBR emergency service personnel were not allowed to take their ID out of the UK but still wanted us to present that to confirm our ID. Some hasty phone calls back to the UK at what was now 10pm UK time and I managed to get an “official “ email sent to the organisers to verify my ID and I was allowed to register & play. Best thing about hanging around registration was seeing a mountain of an athlete from the Eastern European region signing up for all the events where you were either picking up and putting down heavy objects; throwing heavy things or fighting people. Scared the pants of some of the other athletes in the grappling events. The Fair Oaks Marriott Hotel ticked all the boxes and was a great place to stay. With our accreditation we got free transport on the local buses and we had access to a free minibus as well. During the course of our first week there we did the tourist stuff with a day trip to Washington and an Amtrak trip to New York where we caught up with Joan Murray, one of the Professors that I work with in the ITU. Di even had a run in Central Park as we had accommodation on the west side. Since the 31st March I had managed a total of 12 swim sessions covering 17km; 6 bike sessions totalling 180km and 11 runs adding up to 69km – not the best prep. Short term due to work and coaching commitments the last session I completed was the 12th June, some two weeks prior to the race. I had managed 29 training days out of 100. Having had no consistency in my training I didn’t anticipate anything spectacular except possible my meltdown. At the 2003 WPFG in Barcelona I had a DNS due to the fact it was made into a non-wetsuit swim and I wasn’t confident that I could complete that. For a couple of weeks prior to the race the indications were that Fairfax would be a non-wetsuit swim, so the last few swims I had done had been straight 2km efforts. I anticipated that it would be a non-wetsuit swim and intended to start the swim with the expectation that I may be fished out at some point during it but I was determined not to have another DNS against my name. The race was using the Reston triathlon course so it was a split transition area. The 1500m swim was one loop in a man-made fresh water lake; 3 loops on the bike and an out & back 10km through wooded pathways. There were over 220 athletes from 15 countries signed up to race. While setting up T2 I was told by the race official that although the water temperature was 26.5° way above the ITU accepted 22° that the race organiser was going to allow wetsuits as an option; it would mean that the athlete would not be consider for a medal. Having hugged the official I was now in quite a happy place – I could wear my wetsuit so knew that I should survive the swim, a pretty good way to start the race. Although I would have to give up my chance of the podium. On the bike & off to set up in T1. Set up T1 with my new GBR branded Kask Mojito helmet and headed off to check the facilities. As I came back I saw one of the race referees admiring my posh lid. Still in my happy state I engaged him in conversation about how smart my helmet was only for him to tell me that under USAT rules I couldn’t use it as it did not comply with USAT CPSC safety standards. Tried arguing that it had a CE safety sticker but he wasn’t budging. My chimp was then well & truly unleashed when he also advised me that as the race was being run under ITU rules that I couldn’t use a wetsuit. Know the rules- I tried to verify with the referee what rules the race was actually being held under due to the contradictions he was stating. If it was under USAT rules then he could allow the wetsuit to be used as previously stated and he could then ban my helmet; if it was under ITU rules then he could ban the wetsuit but would have to allow my helmet. He refused to budge on the helmet issue so I asked to speak to the Head Referee, Dave Tipler. To be fair Dave was a pretty sound guy and listened to my argument and my rant. I had got to the stage of sacking the race. I had gotten my head to the place that I was going to start a swim that I didn’t think I would finish but was willing to toe the line and put myself through it when I my legs had been done had by officialdom, so stuff it! I didn’t need this; this was personal! A compromise was reached that I could use a wetsuit and I managed to blag a helmet from the local bike trade stand. I wasn’t the only one having these discussions; there were a number of European athletes and Australian athletes being pulled up. No doubt if I had been one of the later athletes to rack I would have got away with my helmet. 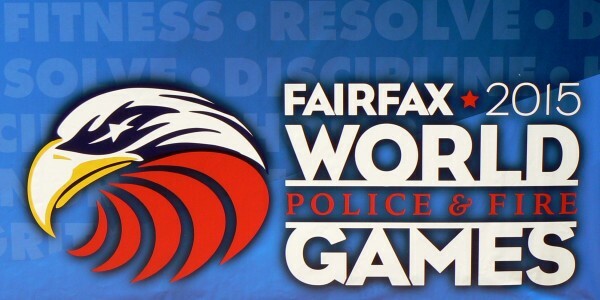 For me it was about enjoying the experience of competing at the WPFG; having done some number crunching I expected to be out for about 3½ – 4 hours. The swim was pretty comfortable with a constant output over the 1500m. Sighting went well but it was pretty warm – boil in the bag triathlete. No major problems on the swim and pretty well supported from the exceptionally large houses on the lakeside. No issues finding my bike in transition as there weren’t that many left. Then again having seen the amount of national race kits I knew the majority of the field would be ahead of me. The bike was a rolling course of just over 8 miles per loop; nutrition & hydration wise I was little bit off. By the time I was on the bike it had cranked up to over 30° and was about 90% humidity. I was getting a gel and about 600ml drink down me per lap but still felt thirsty at the end of the bike. So could probably have done with another 500-750ml drink. Great thing was that the Police and race marshals shut down every junction and set of traffic lights for the athletes so it was effectively a full close road circuit. In & out of T2 and onto the run. The run was mainly on tarmac paths through some woods. By this time I was suffering like a dog and had to re-assess my ambition. There was no way I could run the 10km. It became that mental game of continual negotiation as to just how my run/walk would manifest itself. I was plodding along to the best of my ability – with marshals almost every 500m there was nowhere to hide. Thankfully there were a couple of guys running towards us that were is a bit more distress than me so I managed to convince him to coach them along. Nice thing was the run finished in a local athletics stadium and by the time I got there the bleachers were pretty full. Even managed to “funky monkey” across the finish line without cramping up! Like every athlete I wished I had trained a bit more and gone a bit faster. It was a well organised event with fantastic local support and great on course camaraderie.